When Is It Time to Purge Shred? Purge shredding is a one-time event where an individual or business shreds a large volume of documents. This type of service contrasts an ongoing service, where shredding is required on a weekly, monthly, quarterly, or annual basis. When Would I Use Purge Shredding Services? Shredding purges involve large volumes of documents, and they usually don’t occur on a regular basis. A purge is necessary when there are dozens of pounds worth of paper to shred, and it is no longer feasible to perform the shredding yourself. How Often Should I Shred My Documents? Shred purges are often annual events, but you can request a one-time shredding purge whenever you have a large amount of documents to be shredded. While a one time purge may satisfy your shredding needs, if you find yourself regularly accumulating documents that hold sensitive information, pre-scheduled shredding services may be more cost-effective in the long run. Pre-scheduling your shredding services allow you to plan shredding visits ahead of time so they always get done on time. However this type of service is only necessary when you regularly have large volumes of paperwork to shred. How Can I Set Up a Purge Shredding Service? Purge shredding projects are generally too large to be completed in a typical home or office shredder. Hiring a professional shredder to shred your files for you might cost a little more than doing the shredding yourself, but you save hours of time and frustration. Purges can take any shape or form—you can use mobile shredding services and watch as your files are destroyed, or you can request off site shredding services and have your files shredded at a secure offsite facility. To find a secure shredding service provider in your area, contact Shred Nations at (800) 747-3365 or fill out the form on the right. We have a nationwide network of providers who are ready to schedule an appointment with you as early as tomorrow. How Do I Find a Secure Shredder Near Me? When you put your private documents in someone else’s care, you need to be able to trust them. 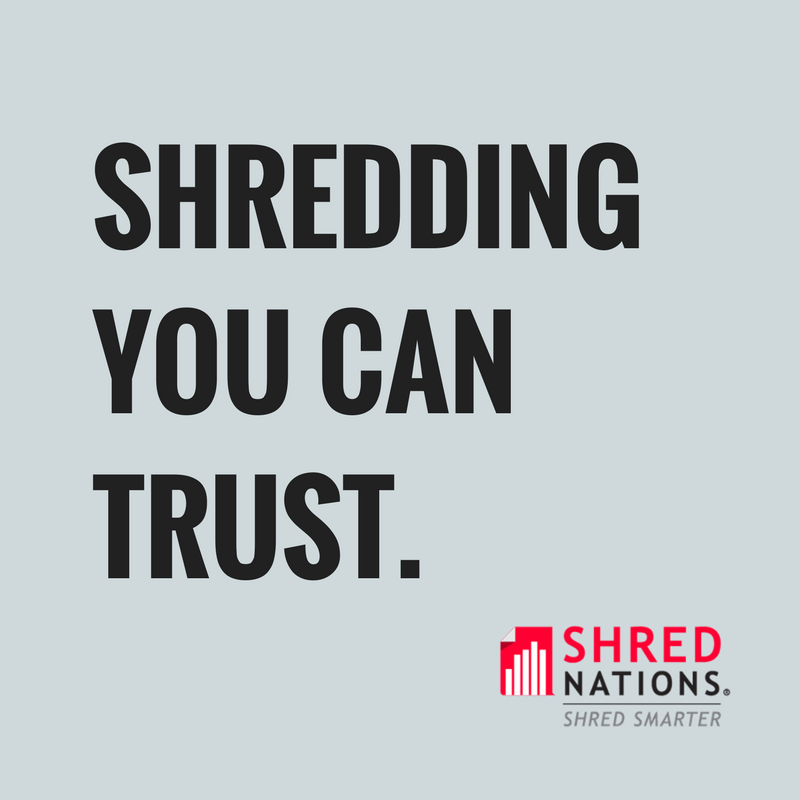 Shred Nations partners with the most secure shredding companies across the country. Give us a call at (800) 747-3365 or fill out the form on the right, and get free quotes from shredding companies who have been trusted to handle the private documents of CBS, Ford, and Coca Cola.